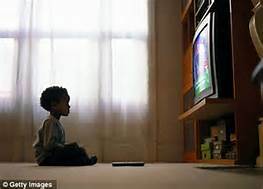 In fact, junk food made up a whopping 86 percent of ad spending for black-targeted television and 82 percent for Spanish-language television. Further, despite the fact that food companies overall TV ad spend declined between 2013 and 2017, junk food ads targeting black viewers rose 50 percent. This means black teens saw twice as many ads for junk food products compared to white teens in 2017. “Food companies have introduced healthier products and established corporate responsibility programs to support health and wellness among their customers,” the report’s lead author, Jennifer Harris of University of Connecticut’s Rudd Center for Food Policy & Obesity, said in a statement. Detroit IP TV is a local affiliate of the Urban Information Network (UIN). We are part of a unique outlet that allows communities to voice & share their local experiences through Internet Television.